Privileged access management (PAM) is becoming an increasingly important aspect of security infrastructure for organizations of all sizes. Many recent breaches including the Equifax breach and Deloitte breach could have both been prevented if these organizations had a PAM solution in place. Privileged access management (PAM) is a critical component of enterprise cybersecurity. Recognizing this critical security component, Gartner has released their August 2017 Market Guide for Privileged Access Management as a way to help organizations navigate the complicated PAM landscape. 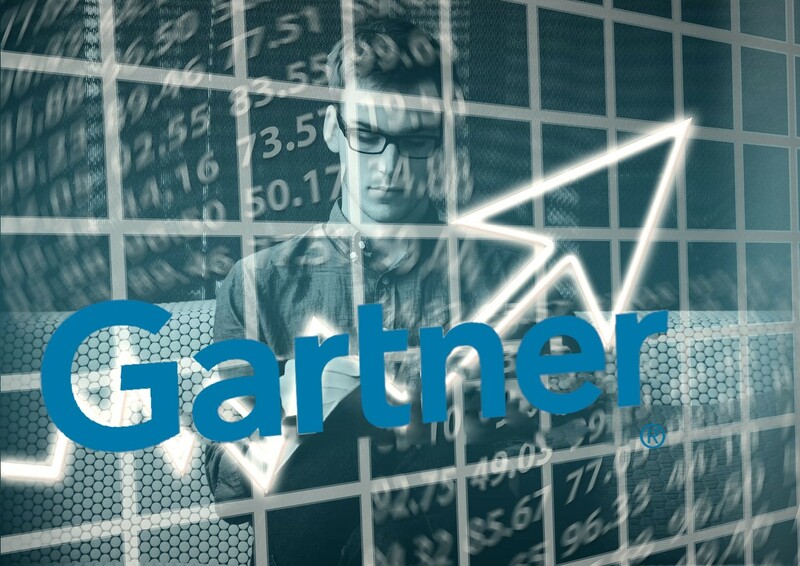 WALLIX has been mentioned in the Gartner Market Guide for many consecutive years and the August 2017 report confirms our status as Representative Vendor for PAM. 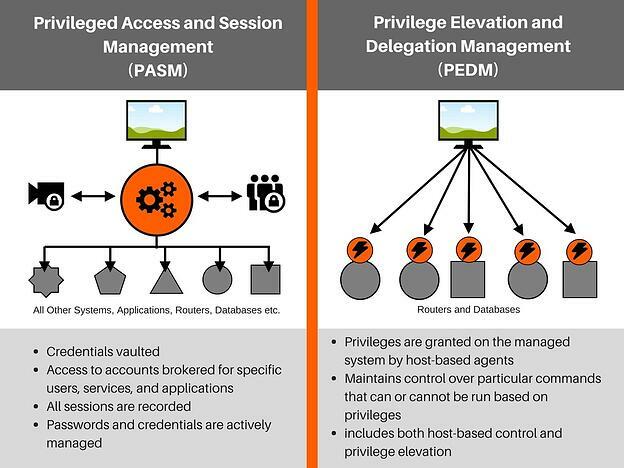 PAM Definition: What is Privileged Access Management? Control access to privileged accounts, including shared and “firecall” (emergency access) accounts. Monitor, record, and audit privileged access, commands and actions. Automatically randomize, manage and vault passwords and other credentials for administrative, service and application accounts. Provide single sign-on (SSO) for privileged commands and actions in a secure manner, such that credentials are not revealed. Delegate, control and filter privileged operations that an administrator can execute. Eliminate hard-coded passwords by making them available on demand to applications. Require high-trust authentication for privileged access by either providing or integrating with other multifactor solutions to ensure required levels of trust and accountability. Gartner splits PAM solutions into two categories: privileged account and session management (PASM) solutions, and privilege elevation and delegation management (PEDM) solutions. According to the report, the WALLIX PAM solution is listed as a Representative Vendor in the PASM category. Requirements arising from increased adoption of cloud-based infrastructure and applications are fueling the growth of privileged access management (PAM) as a service, albeit from a low base. Privileged task automation, user and entity behavioral analytics (UEBA), and support for IaaS and PaaS are increasingly important differentiators for PAM products and services. PAM deployments without proper scoping, roadmap development and stakeholder support struggle to achieve the desired business value and risk reduction, due to a mixture of political and cultural issues. Gartner provides numerous recommendations to ensure organizations are getting the complete security they need to defend against the constantly evolving threat landscape. 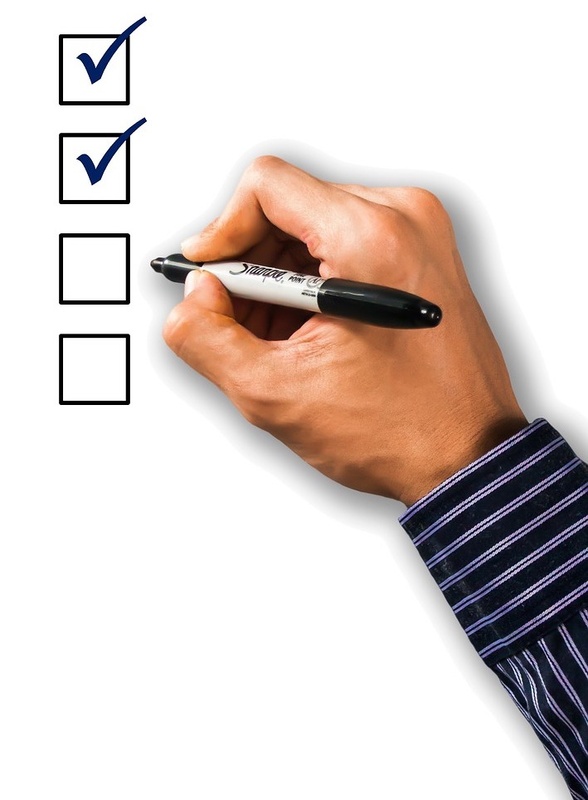 We believe three of these recommendations can be directly addressed when organizations choose WALLIX as their PAM solution. The WALLIX Bastion PAM solution includes a highly scalable architecture that provides organizations with high-availability features and includes multifactor authentication as a component of the access management module. Privileged user identities are verified using multifactor authentication to ensure that users only have access to the limited data and systems that they need. The WALLIX Bastion has easily scalable architecture with high-availability and built-in multifactor authentication. The WALLIX Session Manager module includes advanced and continuous session monitoring tools that not only allow security teams to view all sessions as recorded videos but also allows these videos to be searched using optical character recognition (OCR) technology. Security teams no longer have to watch hours of footage to figure out where a specific malicious line command was entered. Instead, they can simply search the command in the recording database. Having this unalterable video audit trail makes it much easier to maintain complete visibility over all privileged sessions and users, and to meet regulatory compliance standards as well. The WALLIX Session Manager includes unalterable audit trails of all activities, including video-like recordings that can be searched using optical character recognition (OCR) technology. 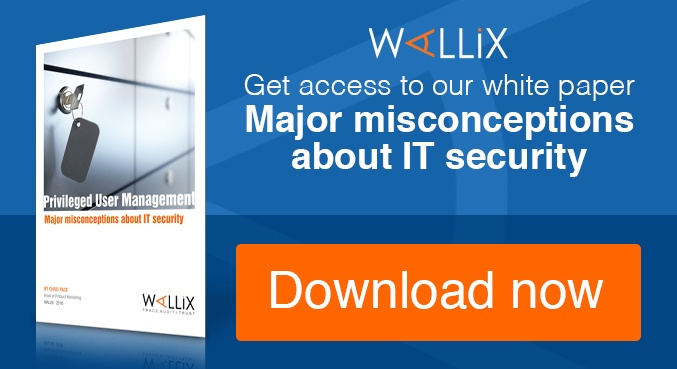 WALLIX understands that shared and administrative accounts can leave organizations particularly vulnerable to threats, as the accounts have complete access to all critical systems and are often left unmonitored or are simply forgotten over time. The WALLIX Bastion PAM solution includes multiple tools to ensure that these accounts are monitored just as closely as your other active privileged accounts. The Session Manager makes it easy for security teams and IT administrators to manage and monitor all user activities in real-time. Administrators can easily limit user access to particular systems or restrict the specific actions they can take, which can be particularly useful when dealing with remote contractors or employees. By restricting users to only the systems they need to complete their job duties, you can further protect your organization from infiltration – even if credentials get compromised. Monitor and record all user activities in real-time. The Session Manager also helps administrators understand and analyze user activity through seamless integrations. Based on the specific actions action taken during a session, security teams are alerted when unusual activity occurs and sessions can be automatically terminated to stop potential breaches-in-progress. This automatic process can significantly accelerate incident response and analysis to further improve security. 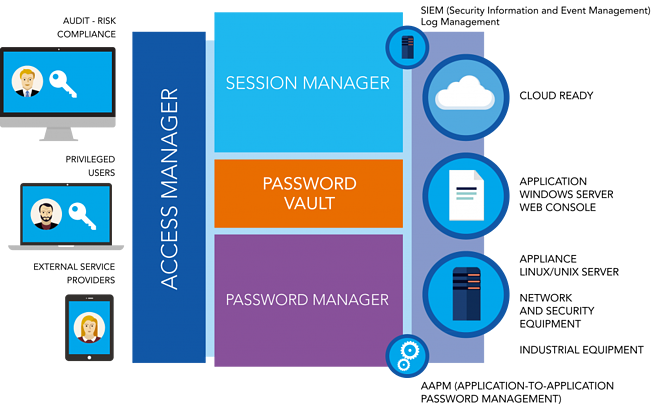 The Access Manager simplifies access management and monitoring by centralizing all of the necessary information into one interface that includes all current logins, sessions, and actions that update in real-time. This completely customizable solution allows administrators to modify the dashboard to suit their own specific job needs included how files are classified, transferred, and more. Have a clear picture of which users and organizations have access to specific data and systems. Administrators also have the option to create Bastion clusters to help them understand exactly which users or organizations have access to specific resources. The Bastion clusters also include their own unalterable audit trail of all sessions. Recorded sessions include multi-criteria search tools, which allows users to search within script and session metadata for suspicious activity. In addition to helping security teams maintain all passwords in an encrypted vault, Password Manager helps companies enforce a strict password policy. All passwords are encrypted using SSH keys either from the WALLIX Password Vault or from third-party vaults using integrations. Organizations also have the option to use AAPM to authenticate passwords between applications and can enforce periodic password changes and rotations. Using all of these tools further secures your organization from threats. Enforce a strict password policy within your organization as an additional layer of protection. Ready to improve security operations throughout your organization by improving your control and visibility across all data and systems? 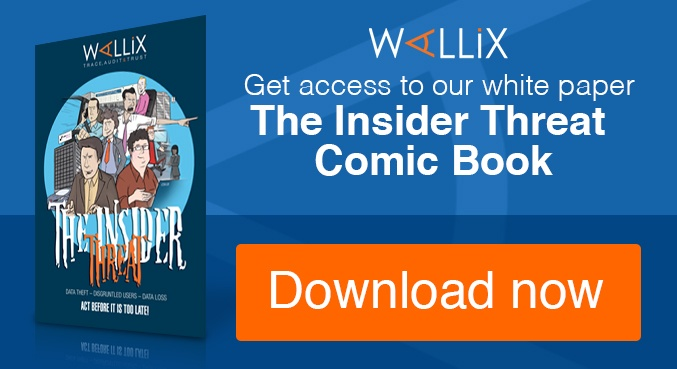 Consider WALLIX Bastion, recognized by Gartner as a Representative Vendor in the Privileged Access Management market and a security partner in the Industrial sector. Contact us for more information about our comprehensive PAM solution.